Construction of a new 14,400 sq. 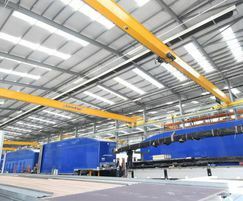 m factory for Tiger Trailers began in the summer of 2018. The new state-of-the-art building will utilise energy efficient heat pump heating and cooling systems. 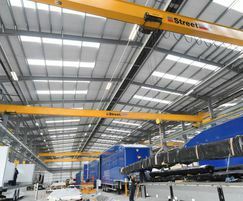 Tiger Trailers stated that the working environment on the shop floor was incredibly important to them and were aiming to provide the best working conditions in the industry. Nortek Global HVAC under the Reznor brand was able to provide the ideal heating solution and meet this goal. The 14,400 sq. 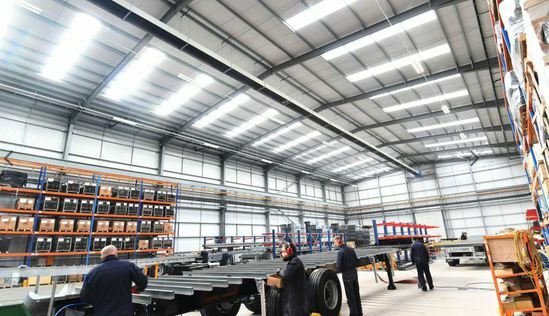 m factory consists of four factory bays requiring one temperature zone per bay. Reznor met the clients’ requirements by providing burners just within the building, which allowed the production area to be free of any serviceable equipment. The fuel-efficient burners have capacities from 50 to 400kW; they are modulation and inverter driven providing 96% thermal efficiency. The radiant strip from one burner can cover up to 150m guaranteeing even heat distribution. 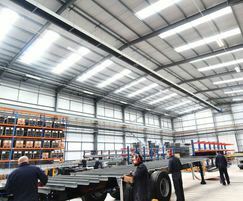 The new heating system comprises of Sonning2 OHA RHE modulating gas-fired radiant heating in the main production area with 4 x Sonning2 OHA RHE systems, one in each bay. The system provides an even and comfortable heat distribution for medium to large industrial, commercial facilities using gas or diesel oil. The system also utilises a combustion unit that can be installed inside and/or outside the building being heated, the radiant emitter is a heat-transmitting duct with an insulated canopy. The Sonning2 OHA RHE modulating gas fired radiant heaters were specified by Anderson Green Consulting Engineers and installed by Mechanical & Electrical contractor H.E.Barnes Ltd of Sheffield.